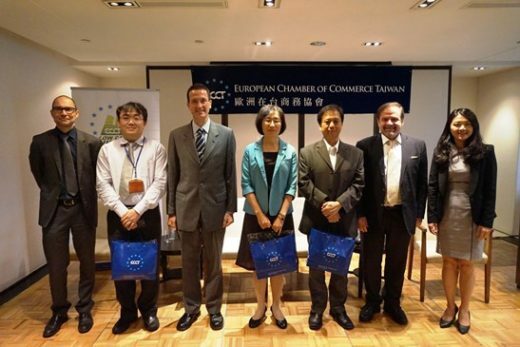 The ECCT's Low Carbon Initiative (LCI) hosted a lunch together with SEMI Taiwan featuring two Taipei City Government (TCG) commissioners and a chief engineer to talk about the city's plans for smart public housing, car sharing and smart train stations. The event was moderated by Giuseppe Izzo, the ECCT's LCI Director & Vice Chairman. Izzo gave a short introduction to the LCI and the subjects of smart cities and smart mobility before introducing the speakers. 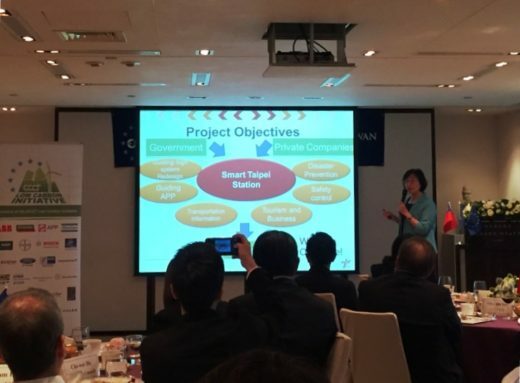 Opening remarks were also made by Joanne Su, Director of SEMI Taiwan. He noted that Taipei has great potential to become much greener and smarter but is not meeting its true potential for several reasons. For example, government agencies tend to operate in silos, which wastes or fails to take full advantage of its resources. Moreover, private sector players are often not aware of government initiatives during the planning stages of projects, which often means they only become aware of projects when tenders are announced. The IT department aims to create a platform for cooperation and to integrate efforts across departments, increase participation by citizens and the private sector in the early stages. Given that the IT department has the same status as other TCG departments but also does not have overlapping responsibilities, it is best-placed to leverage all of the city's resources effectively and facilitate cooperation between agencies and other stakeholders. Lee said the city welcomed ideas from the private sector and offered them a platform to test concepts, products and services free of charge. 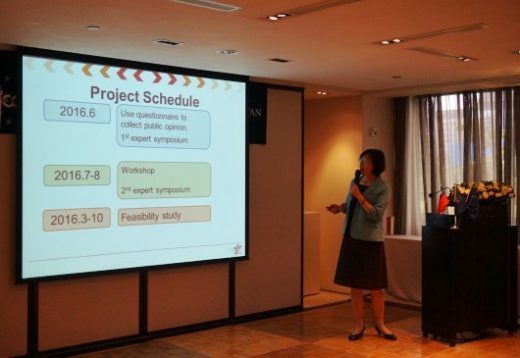 In her presentation the commissioner for transport, Anne Chung, gave details on the city's proposed U-Car car sharing project. If the same success of the U-bike system (an average turnover of eight times per day) could be replicated in the U-Car scheme, seven out of eight cars could be taken off the road, thereby substantially reducing traffic congestion and the need for parking. Chung's department has studied eight different car sharing schemes in various countries and, since April this year, has been conducting a feasibility study for its system. The city will issue a questionnaire for the public to submit feedback on the scheme. In addition, it will hold two public forums and invited the ECCT to participate and give feedback, along with other participants. The first one, a symposium, is to be held in June and the second in July or August. The city will allocate portions of a number of public parking lots (including those located in public housing units) to the U-Car scheme, which will allow users to drop off cars in different locations from where they collected them. The city wants two to three companies to participate in the scheme. The bidding process is expected to start in October, after the completion of the feasibility study. 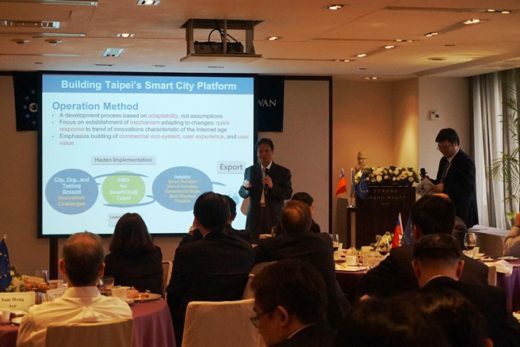 Chung also spoke about turning Taipei Main Station, which links the Taipei metro, the high speed train, regular trains and multiple bus routes, into a smart station. This will include redesigning the guidance system, developing Apps that connect the various forms of transport with information for tourists and advertising. The bidding process for smart station projects will start in September this year. 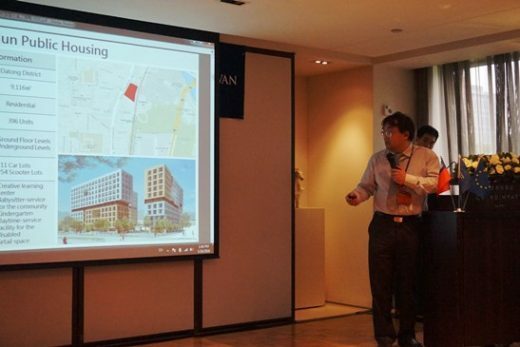 Chen Chien-hwa, Assistant Chief Engineer of the Urban Development Department gave an update on the city's plans to construct smart public housing communities. Urban Development Department Commissioner Lin Jou-min plans to build 20,000 public housing units in the near term and up to 50,000 within eight years. In the first phase, six sites have been identified for constructing 6,000 units. The units will incorporate smart design and management and metering systems to monitor and reduce the use of electricity and water. The rooftops will be fitted with solar panels to generate electricity. Up to 3.5% of the budget of almost NT$32 billion will be allocated to smart installations such as smart meters. In addition around 20% of the parking bays in the public housing basements will be allocated to U-cars.